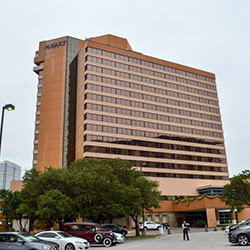 The Silo on 7th is located downtown off of I-35—one block east on 7th Street. 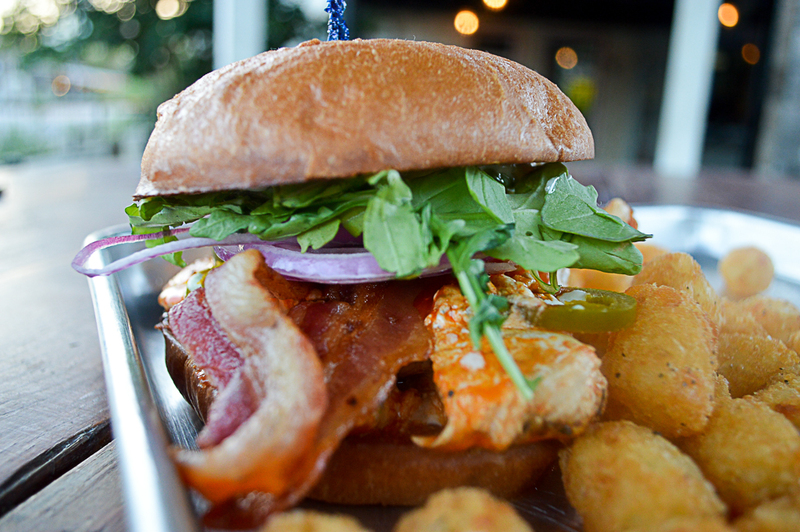 It’s the perfect place to grab a craft beer and an adventurous burger for lunch or dinner! 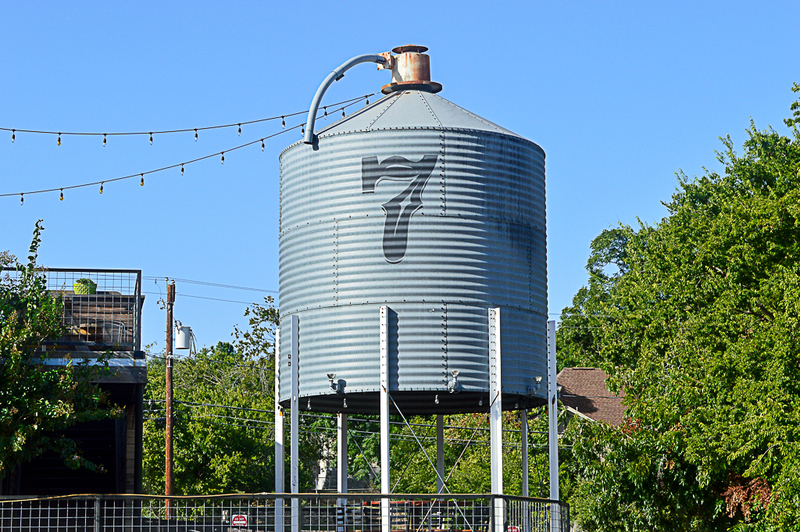 Upon driving up 7th Street, I noticed the white stone building and the old corn silo with the big number 7 on it. 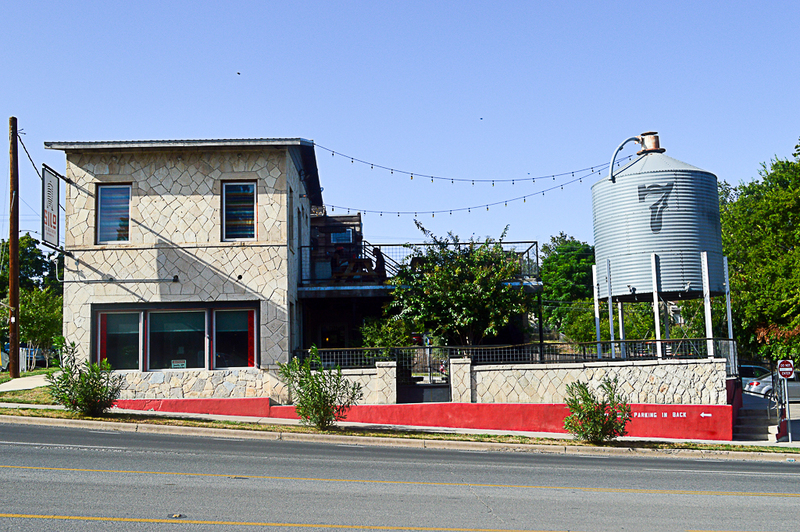 The building was once the site of Tony’s Tortilla Factory, which was one of Austin’s first tortilla factories. The tortilla factory burned down some time after they closed. As a result, the property was boarded up and in need of a major overhaul! 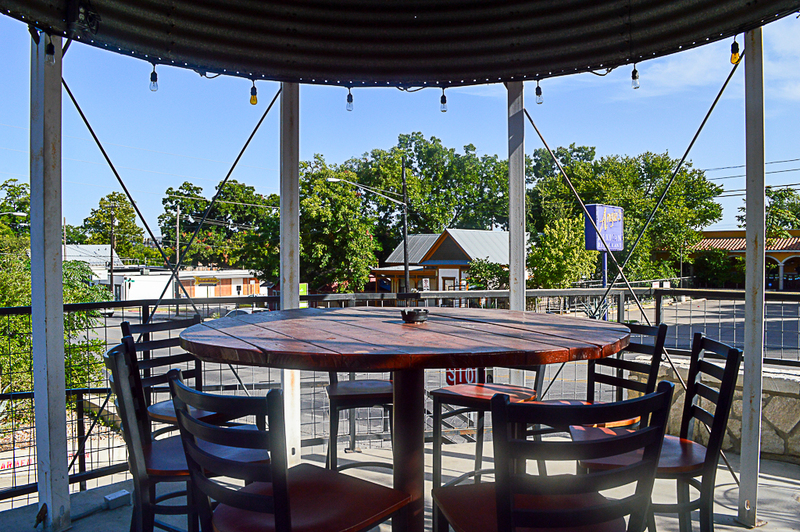 Lou Delaney, John Williams and Paul Williams are the majority owners and concept creators of the Silo on 7th. They ensured that the architect, engineer and builder used as much of the original materials as possible to ensure a historically relevant rehabilitation. One of the changes they made was moving the corn silo to the front next to what is now the beacon for the restaurant and bar. 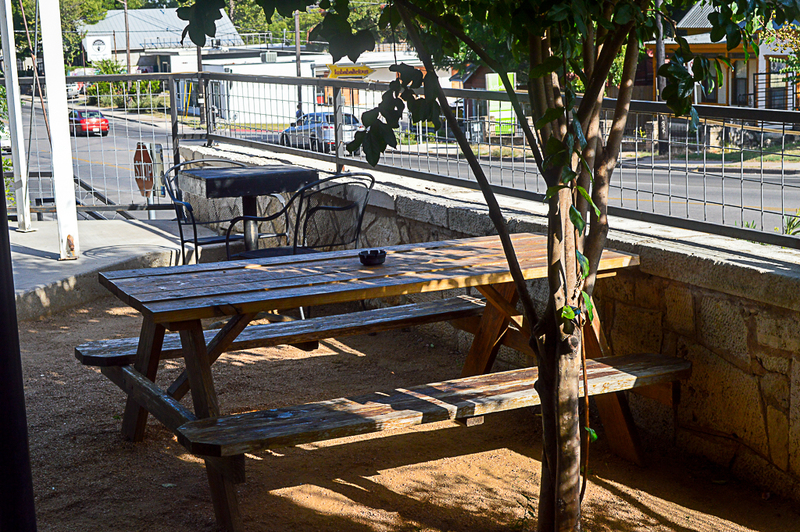 The Silo on 7th features the best rooftop patio on the east side of Austin! Patrons are treated to magnificent views of downtown including gorgeous sunsets—as weather permits! The first thing I noticed upon walking in the door was the incredibly friendly staff! They went out of their way to make me feel welcome while I waited for the rest of my party. 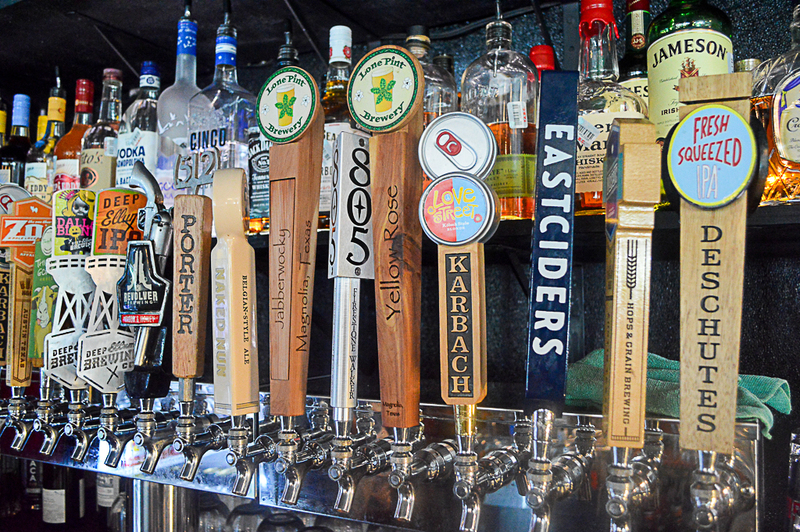 Pondering which craft beer will pair best with your meal? 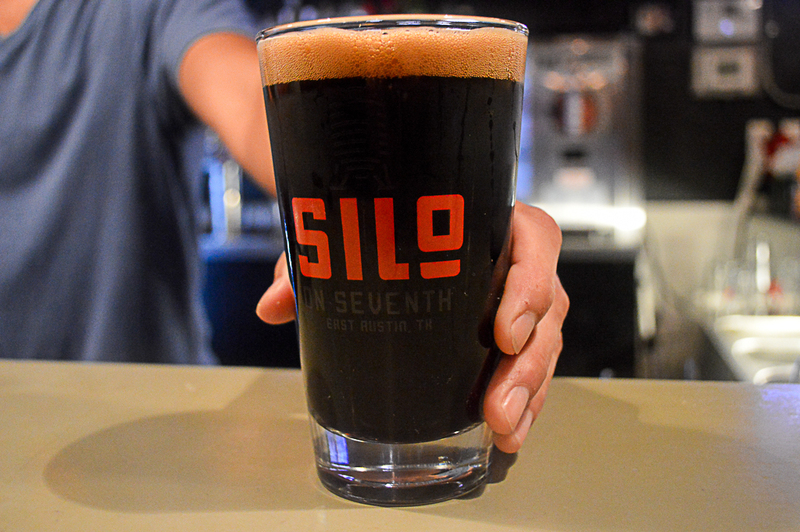 The Silo on 7th offers a wide variety of options to please your palate! Talk to your server or bartender about what you like and what flavors will pair well with your meal. 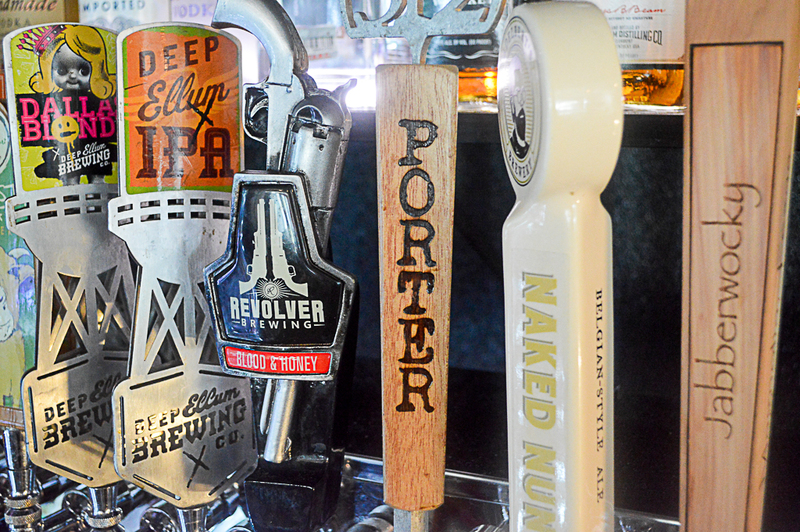 They offer sixteen rotating taps featuring local and regional brews that are sure to excite your palate! My favorite was the Eastciders Original Dry Cider, which is a blend of American dessert apples and European bittersweets. It’s dry, light, fresh, and fruity, which makes it the perfect cider any time of year. This was closely followed by Adelbert Brewery’s Naked Nun Wit Ale, which is a refreshing brew with hints of bitter orange peel and coriander. It also has a clean, dry finish. Both choices were spot on for me! 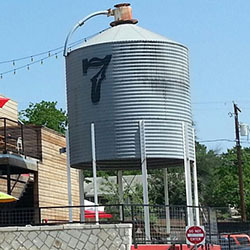 The Silo on 7th also offers a variety of craft cocktails, salads, soup, burgers, sandwiches, tacos, and desserts for your dining and drinking pleasure. Many people, including myself, are deviled egg fanatics! We wait for special occasions just for the pleasure of sneaking an egg or four before the meal. 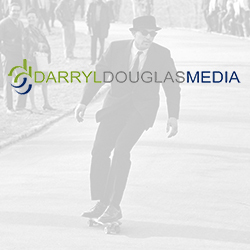 It’s just the way we roll! 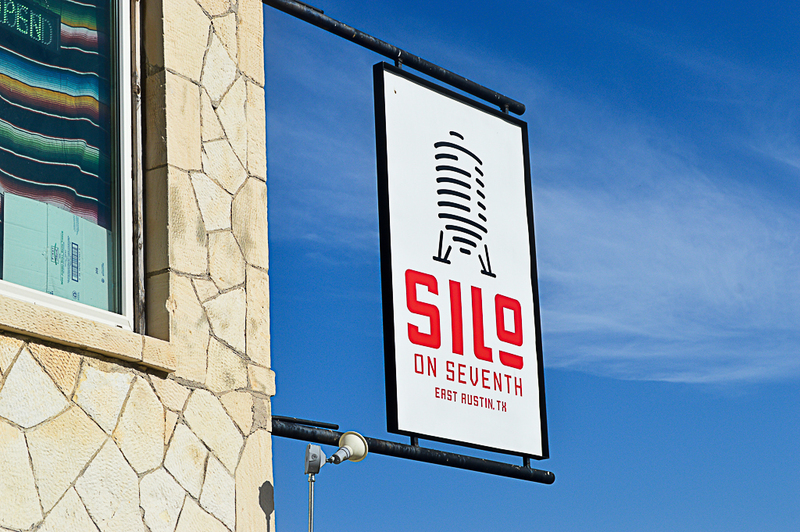 At the Silo on 7th, they’ve taken the holiday classic and changed the game with their Deep-Fried Deviled Eggs. 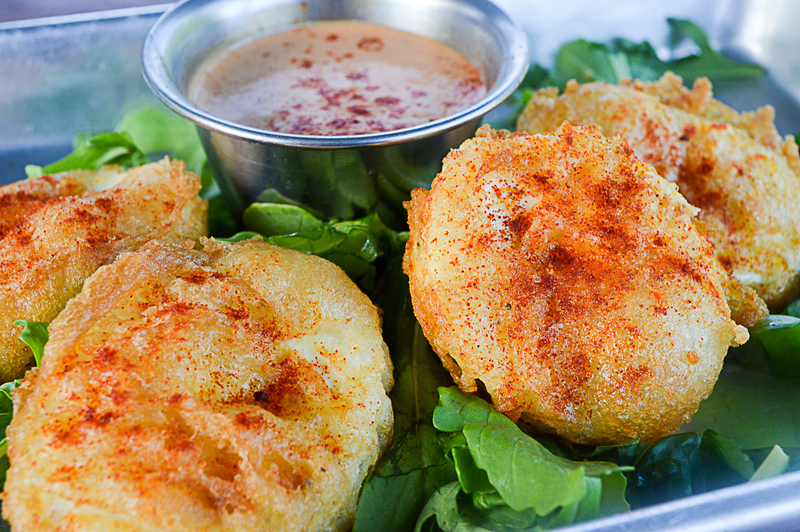 They take four tempura battered deviled eggs and fry them to golden perfection and rev it up by serving them with their house made chipotle ranch. Looking for something with a nice kick? 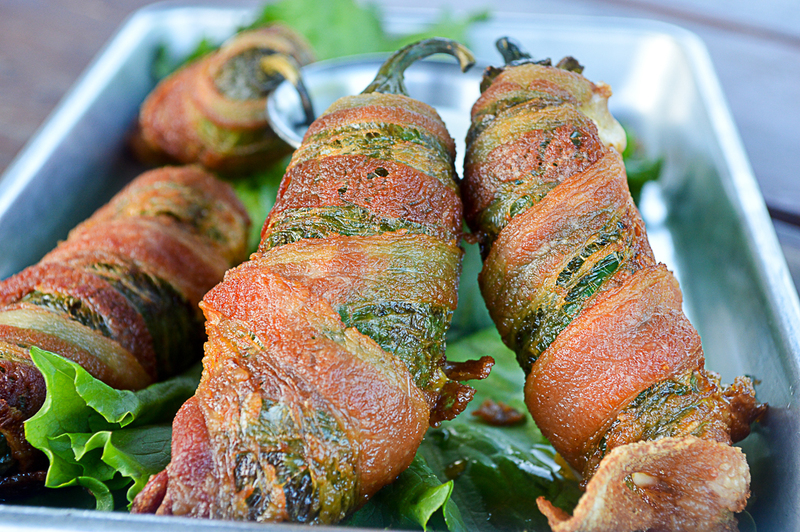 Then you might be interested in Matty’s Texas Poppers! The chef takes four fresh jalapenos and stuffs them with chorizo, cheddar cheese and monterey jack before wrapping them in bacon and cooking them. 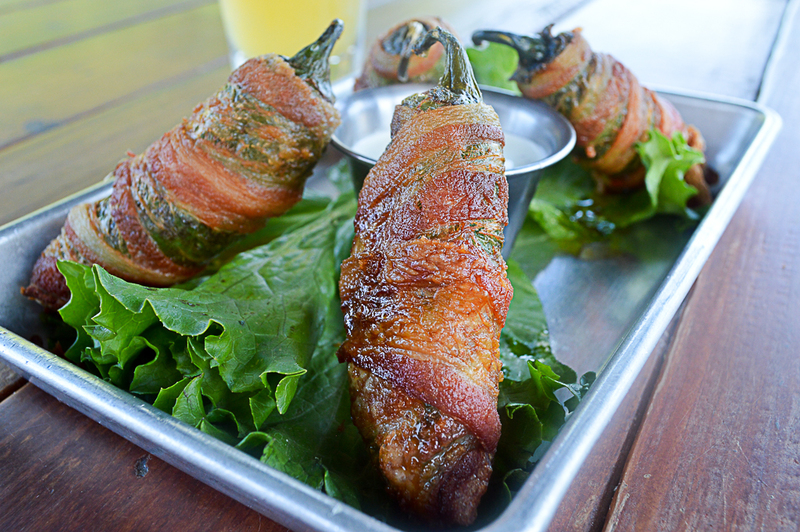 The poppers are served with fresh, cooling ranch to give you a delightful smorgasbord in one bite! 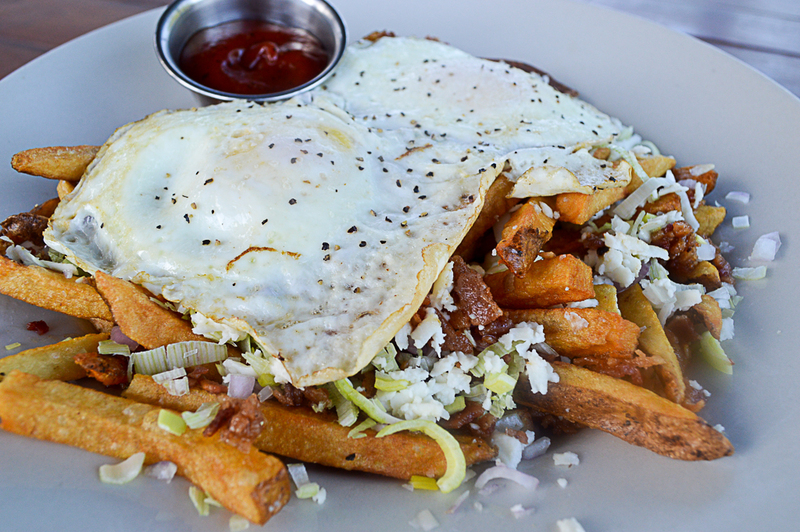 The Silo Fries start with a heaping helping of hand-cut fries. Next, they add generous amounts of queso fresco, bacon, leeks and shallots, and top it with two fried eggs. 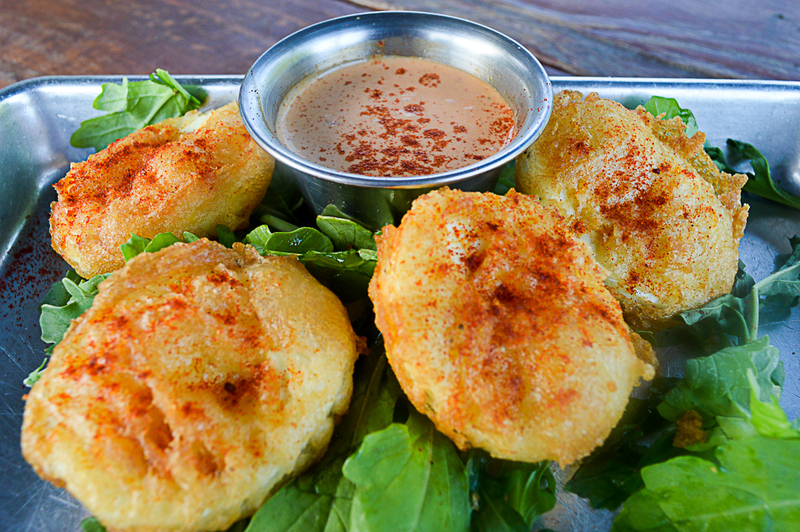 They are served with house made cayenne ketchup. It’s light, yet filling and should be shared with friends. If you aren’t in to sharing, you could easily order this work of gastric artistry as your entrée. 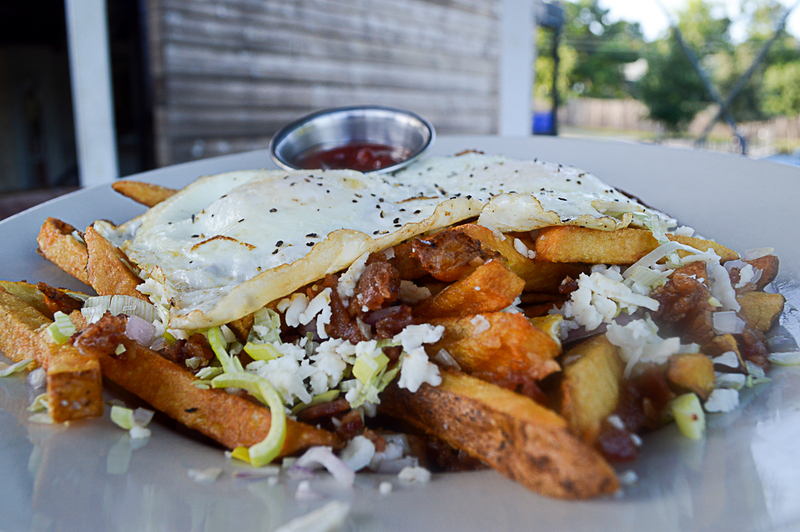 The Silo Fries are ahh-mazing! 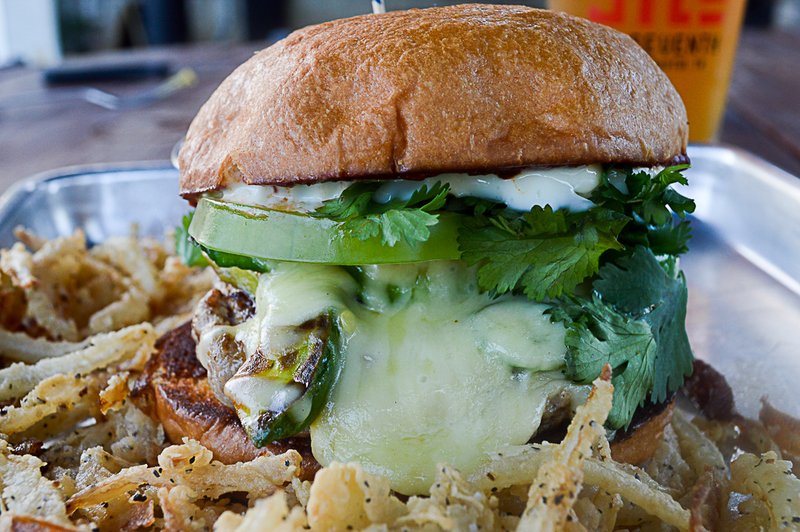 The Navasota consists of a thick ground pork patty, muenster cheese, grilled avocado, sliced tomatillos, cilantro, serrano peppers, and chipotle peppers in adobo sauce with mayo on a toasted brioche bun. It was the perfect blend of contrasting flavors! The peppers balance out the pork, muenster cheese and avocado giving them some pizazz. 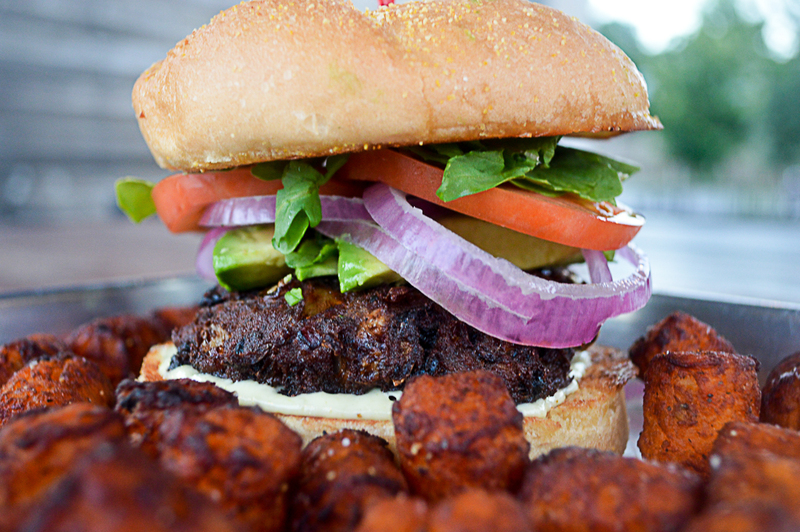 Please note that all of the burgers and sandwiches come with your choice of hand-cut fries, tater tots, sweet potato tots, or onion strings. On our visit, we chose the onion strings with The Navasota and were all thrilled with the fantastic taste and texture! 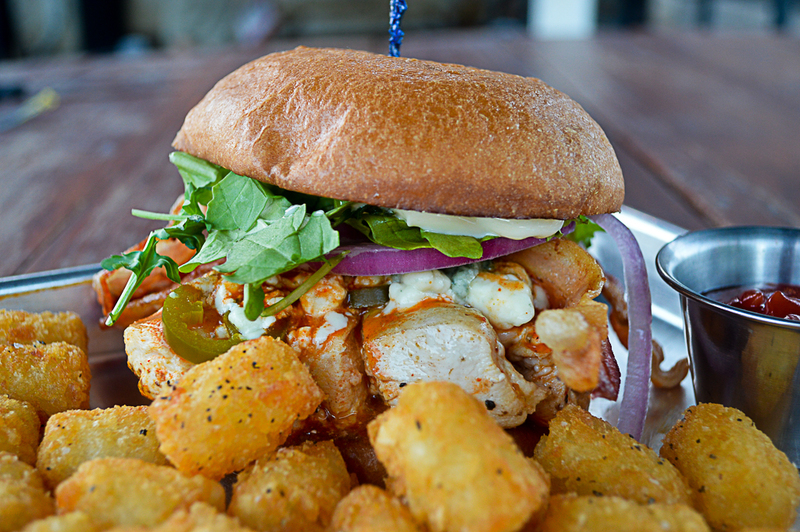 The Buffalo Chicken Sandwich is a grilled seasoned chicken breast with medium wing sauce, bacon, pickled jalapenos, crumbled blue cheese, arugula, onions, and mayo on a toasted brioche bun. The chicken is tender, juicy and packed with flavor! 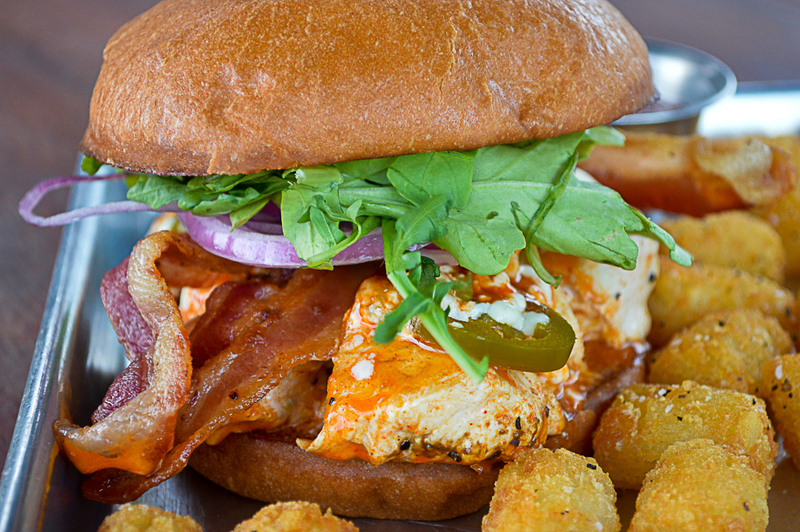 The contrasting flavor of the chicken and bacon successfully sets this sandwich apart! I’ll definitely be back! 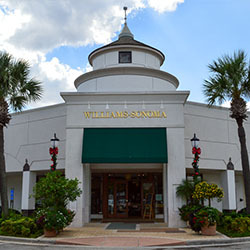 Looking for an outstanding vegetarian option? 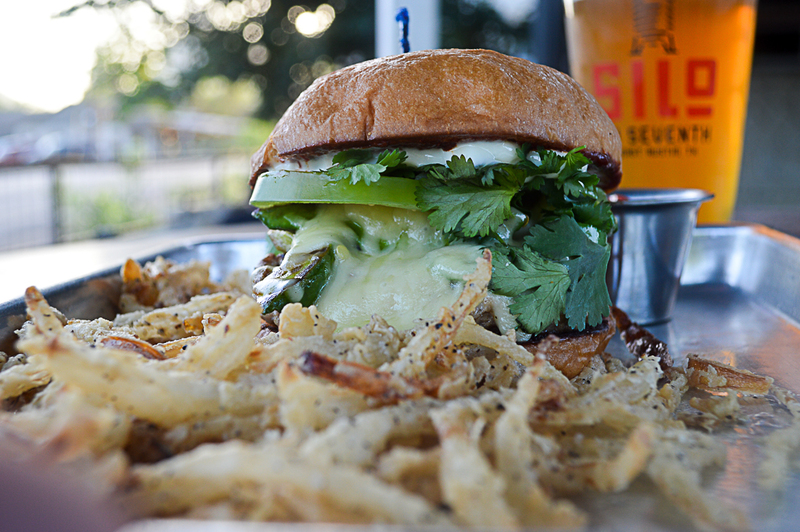 In 2015, the Medina was voted as the best vegetarian burger in Austin! The Medina is their house-made black bean burger with red onions, tomato, arugula, fresh avocado, and jalapeno mayo on a toasted kaiser bun. 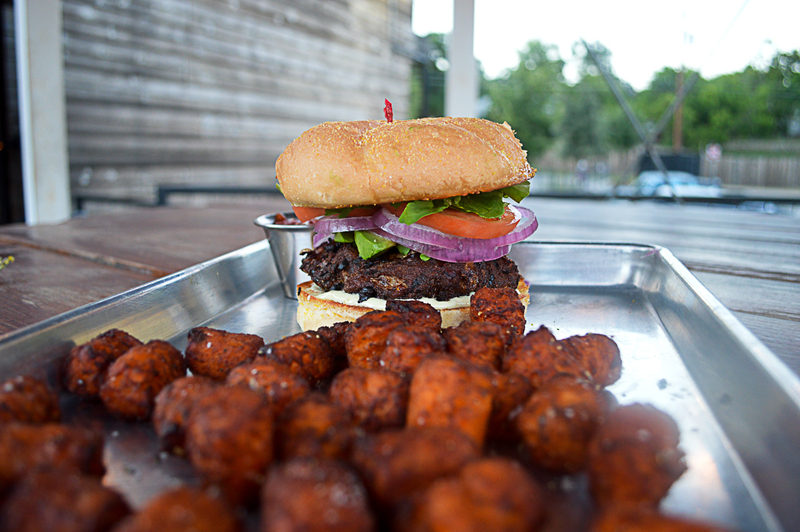 If you are looking for the ideal side for the Medina, I recommend their sweet potato tots. They are loaded with Vitamin A and packed with flavor! 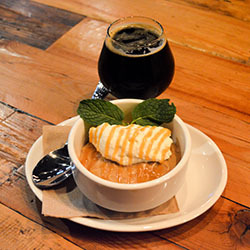 Not Your Father’s Root Beer Float is made with Not Your Father’s Root Beer (NYFRB) with vanilla ice cream. So what’s so special about this float? NYFRB is smooth and balanced with hints of sarsaparilla, wintergreen, anise and vanilla. It’s also the first root beer that I’ve ever had with alcohol. So you are satisfying both your sweet tooth and the need for an after dinner drink. In a word, delicious! The Apple Pie Eggrolls A La Mode is quite literally a hand-made and rolled apple pie that is fried to perfection and served with vanilla ice cream. It was lightly sweet with tart overtones, which was balanced out nicely by the ice cream! And who doesn’t love an apple pie a la mode? So we ate a lot of food and drank our fair share of beer! But what were our favorites? We had several. First, we thoroughly enjoyed the onion strings because they were simply addictive! We could not stop eating them until they were gone. 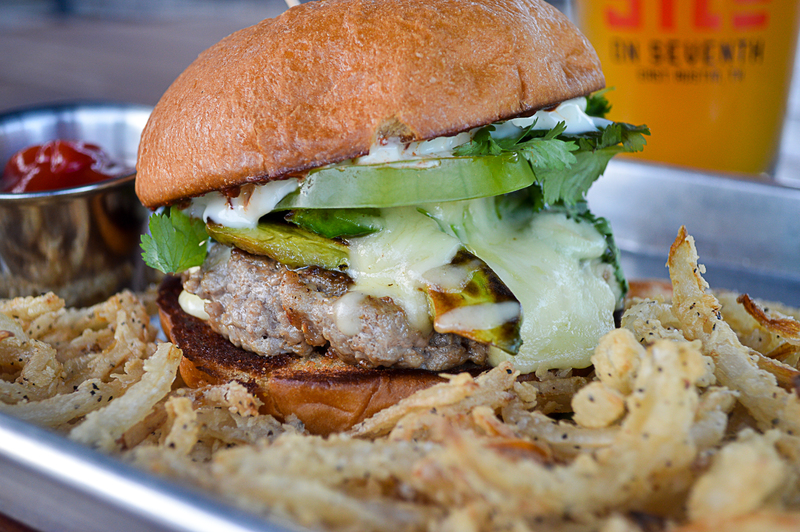 Second, The Navasota was my favorite burger due to the combination of mild and spicy components and its fabulous flavor! 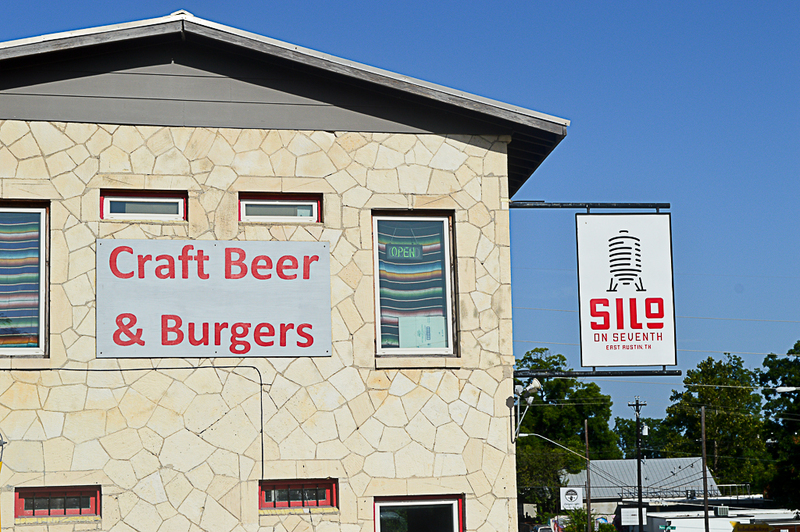 And finally, I’d like to tip my hat to The Silo on 7th for the Silo Fries! The fresco queso is what really set it apart from other cheese fries that I have previously enjoyed. Despite the ingredients that can often feel heavy, the crumbled cheese made it feel light, yet very satisfying! 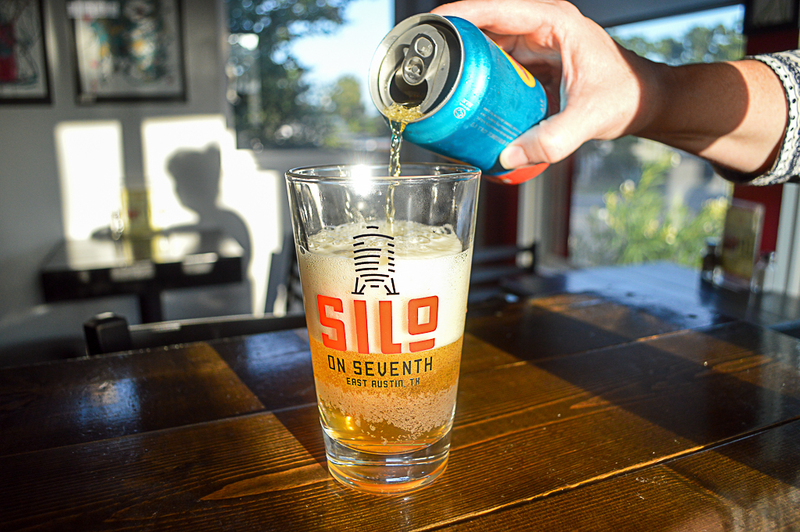 We had a great time at The Silo on 7th! 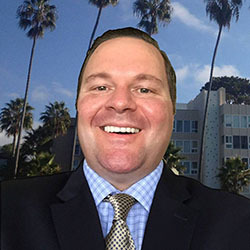 The staff was incredibly attentive and generous with their time. 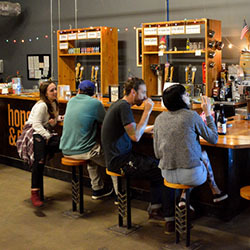 We made some new friends and learned something new about local beers. American Amber / Red Ale style beer brewed by Thirsty Planet Brewing Company in Austin, TX.